Our primary mission is to support the congregation, using music to sustain an appropriate atmosphere conducive to prayer throughout all the liturgical seasons of the Churchs year. We draw from a wealth of good sacred music and hymns throughout history, from Gregorian chant, through the classics to the contemporary. Some music is sung unaccompanied, often in 4-part harmony. The greater part of our music is accompanied, mainly by keyboard, but we are delighted to have the use of a two-manual pipe organ designed and built in 1960 by J.W. Walker and Sons. Our weekly commitment is to the Sunday 11:00 Sung Mass where we lead the congregational parts. Normally this is in English but we do sometimes sing the Kyrie, Gloria, Sanctus and Agnus Dei in Latin. We also have four hymns and sing the occasional motet. These aim to reflect the theme of the Mass while striking a balance between congregational familiarity and extending the repertoire. We join with the Folk Choir to support the major celebrations like the Easter Triduum, the annual Advent/Christmas Carol Service, First Communions and Confirmations and are sometimes asked to provide music for weddings, baptisms and funerals. The choir currently has about eight regular members and rehearses every Thursdays at 19:30 in the Church. None of us is a professional musician and not all of us read music. 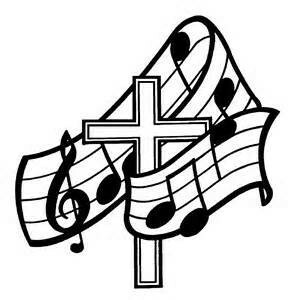 However, we are always pleased to seek new members and are indeed actively seeking them, so if you are interested in helping to improve and expand the musical life of Holy Cross or simply just interested in singing, please come to the choir loft after Sunday 11:00 Mass or drop me a line if you wish to know more about us.